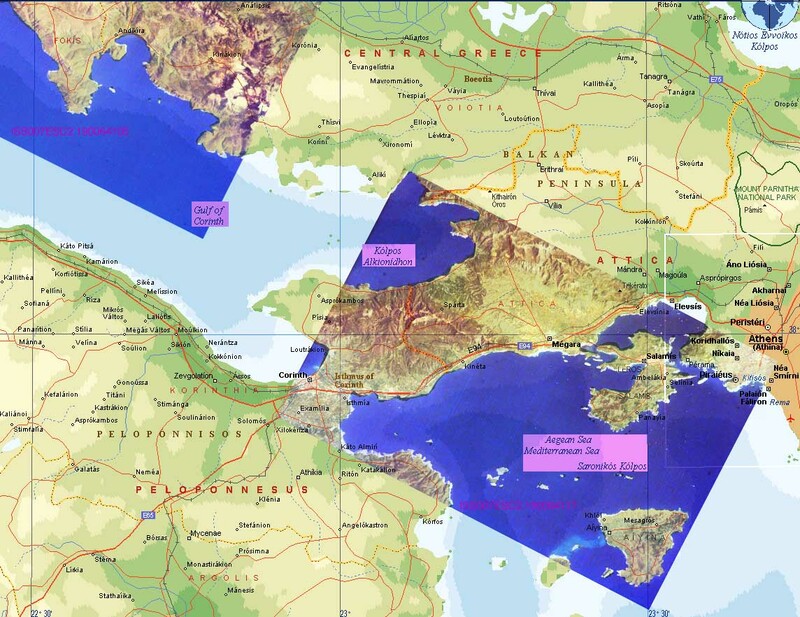 These images show the Gulf of Corinth, the city of Athens, and the central area of Greece. The Corinth Canal crosses the Isthmus of Corinth. It connects the Gulf of Corinth with the Saronic Gulf and shortens the voyage from the Adriatic Sea to the city of Peiraiefs. Greece is one of the most seismically active countries in the world, and within the area, the Gulf of Corinth is home to some of the greatest seismic activity.